We bring forth our vast industrial experience and expertise in this business and are instrumental in offering wide assortment of Sea Grass Rug. - Woven in traditional handlooms by highly skilled weavers. Made of Sisal, Seagrass and Jute yarns, for natural looks. Suitable for Beach Resorts. 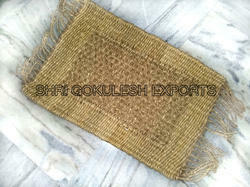 We are one of the well-known manufacturers and exporters of Sea-Grass Rugs (DI - 6094) in the market. Made from optimum quality raw materials, our Sea Grass Rugs are extremely durable and trendy. We offer Sea Grass Rugs in a variety of sizes and can also customize according to clients’ specifications. We offer affordable yet durable variety of sea grass rugs. Sea grass has a beautiful warm that makes it versatile and can accent any room furnishing. 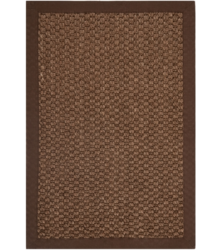 Our sea grass rugs are strong and withstand heavy traffic. woven fabric with or without latex backing. Standard Sizes are : 60 x 90 cm, 70 x 140 cm, 90 x 160 cm, 120 x 180 cm, 170 x 240 cm, 200 x 200 cm, 200 x 250 cm, 200 x 300 cm. Offering a wide range of Sea grass Rugs.